The past couple days many gossip publications reported that rocker GACKT has been having quite a few monetary issues. Some of the allegations include tax evasion, and that his affiliated office “G-PRO” quietly went bankrupt. Many of the articles stated that G-PRO went into liquidating it’s assets last month in April, as ordered from the Tokyo District Court. The detailed circumstances regarding the bankruptcy weren’t made public. 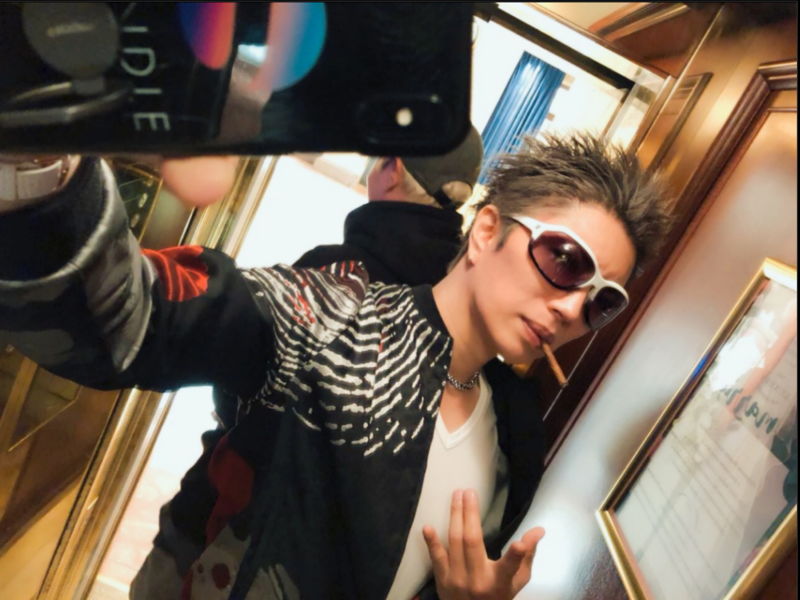 In response to this GACKT posted a very lengthy post on his official Ameba blog debunking the rumors and addressing the article himself, even directly linking to it! He began the post by talking about the continued “success” of his cryptocurrency “SPINDLE“. Cryptocurrency is a controversial form of digital assets, basically digital money or virtual currency. GACKT launched SPINDLE last year. GACKT then began to talk about his lengthy trip to Europe. He visited various countries including Greece, Turkey, and Bulgaria. After sharing a bunch of photos and small stories about his travels…he then talked about hanging out with K1 fighter Takeru. Finally, the rumors were directly addressed. GACKT stated that when he first read the article he couldn’t help but laugh at the “stupidity” of it. The claim that hundreds of millions of yen being lost is completely false. Lastly, reports stated that GACKT’s relocation to Malaysia last year was to evade tax. At the time GACKT claimed the move was made for health reasons, but a staff member who works at the house said he’s rarely even there. GACKT simply brushed it off saying it really isn’t that wild to want to live in another country. Whatever the case may be, it is very rare for a celebrity to directly respond to gossip articles written about them.